[ ACTION ] 100 ploggers around the world for our NCZ DAY # 2! 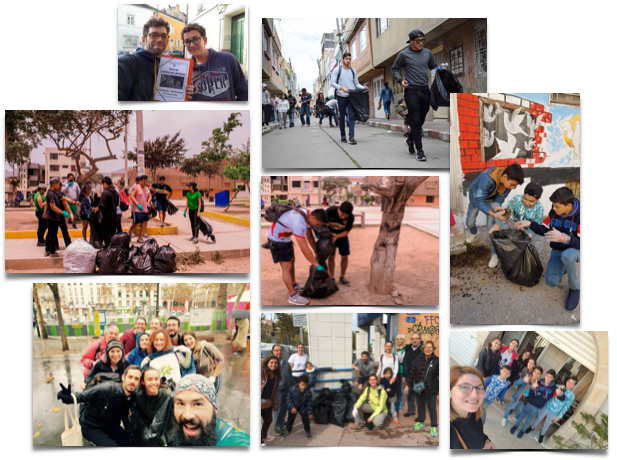 And yes, that's it : we just finished calculating our impact on the New CITYzens Day # 2 that took place on November 10th, which was intended to connect groups of citizens from different cities around the world, around a session of plogging (jogging + cleaning of the city). And congratulations and thanks to all the city leaders and friendly organizations that have allowed the implementation of the action in their city: Thomas, Céline and Pauline for Paris, Marie-Pascale, Loli and Imagine Marseille for Marseille, Maxime for Nantes, Silvana, EmprendeSocial, Sustentabilizate, Fundación Irradia and Proyecto Arte & Cultura for Lima, Ezequiel and Fundación Irradia in Bogota and finally George who mobilized communities in Syria. It was great and we hope to do even better next time. And for anyone interested in future challenges, sign up at www.newcityzens.com and we'll send you quick news / ideas to get your city moving.